At the crossroads where the Great Depression and the Great Recession meet, Charles O’Hay’s poignant and often edgy words remind us how quickly and easily one can be Far From Luck. “Poems and photographs that capture life on the street among the down and out, as well as commentary on the decline of nearly everything. O’Hay chronicles life with the drunks, junkies and gamblers. A newly married man in New Orleans, sick with the need for alcohol, steals a shot of booze at a bar just before “the bouncer’s hand on my shoulder / tells me I am paper, tosses me to the curb.” A junkie with a grotesquely swollen leg panhandles near a hotdog stand, asking for $4 for his “prescription.” A street hustler recites the names of the dead “as if lighting candles.” Interspersed with these character sketches and stories are poems about family, as well as poems that showcase the author’s sharp eye and sardonic wit: Preachers at a rest stop don’t realize that the difference between the poet and themselves is that “when they get to Hell / they’ll be surprised.” Alien conquerors will surely decide that the Earth isn’t worth keeping, and should be tossed like “a bruised peach / back on the pile.” One standout poem from the collection is “Inheritor.” It imagines an ancient, wild and undefined thing “pacing” the poet when he was 7 years old, sitting in the back of his grandfather’s car in the “thick shadows that skirt the tree line.” O’Hay’s work is gritty, keen and sympathetic without being condescending. Some of his imagery is especially striking—a pair of cardinals fight on his lawn “like two blood stains / in love with the same / bullet”—made all the more so by his clear, straightforward language throughout. The book includes black-and-white photographs of Philadelphia’s homeless taken by the author, and a portion of the book’s proceeds goes to a nonprofit that services Philly’s homeless community. Charles O’Hay is the recipient of a 1995 Pennsylvania Council on the Arts fellowship in poetry. His poems have appeared in over 100 literary publications including Gargoyle, South Carolina Review, Brooklyn Review, West Branch, Mudfish, and New York Quarterly. A portion of all profits from his book, Far From Luck, will be donated to Project H.O.M.E. in Philadelphia, Pennsylvania. The author lives with his wife and daughter in eastern Pennsylvania. 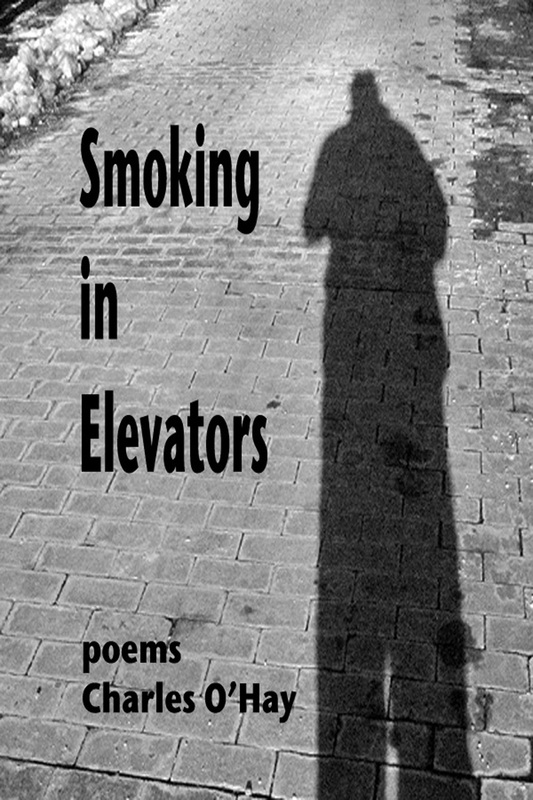 This is his first full-length collection of poems.